The RUSD Food and Nutrition Services Department team is comprised of food and nutrition professionals who are dedicated to students' health, well-being, and their ability to learn. Their schools support learning by promoting healthy habits for lifelong nutrition and fitness practices. Meals, food, and beverages sold or served at schools meet state and federal requirements which are based on USDA Dietary Guidelines. The department provides students with access to a variety of affordable and appealing foods that meet the health and nutrition needs of students. 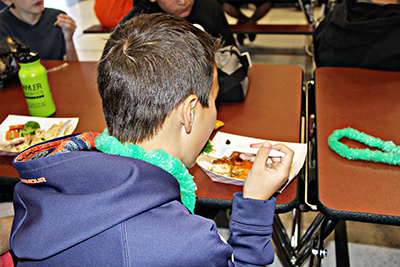 At Rescue Union School District, they know that good nutrition and learning go hand in hand! For more information about RUSD and their schools.